Josef Albers (/ˈælbərz, ˈɑːl-/; German: [ˈalbɐs]; March 19, 1888 – March 25, 1976) was a German-born American artist and educator whose work, both in Europe and in the United States, formed the basis of modern art education programs of the twentieth century. Albers enrolled as a student in the preliminary course (Vorkurs) of Johannes Itten at the Weimar Bauhaus in 1920. Although Albers had studied painting, it was as a maker of stained glass that he joined the faculty of the Bauhaus in 1922, approaching his chosen medium as a component of architecture and as a stand-alone art form. The director and founder of the Bauhaus, Walter Gropius, asked him in 1923 to teach in the preliminary course 'Werklehre' of the department of design to introduce newcomers to the principles of handicrafts, because Albers came from that background and had appropriate practice and knowledge. With the closure of the Bauhaus under Nazi pressure in 1933 the artists dispersed, most leaving the country. Albers emigrated to the United States. The architect Philip Johnson, then a curator at the Museum of Modern Art in New York, arranged for Albers to be offered a job as head of a new art school, Black Mountain College, in North Carolina. In November 1933, he joined the faculty of the college where he was the head of the painting program until 1949. At Black Mountain, his students included Ruth Asawa, Ray Johnson, Robert Rauschenberg, Cy Twombly, and Susan Weil. He also invited important American artists such as Willem de Kooning, to teach in the summer seminar. Weil remarked that, as a teacher, Albers was "his own academy". She said that Albers claimed that "when you're in school, you're not an artist, you're a student", although he was very supportive of self-expression when one became an artist and began on her or his journey. Albers produced many woodcuts and leaf studies at this time. In 1962, as a fellow at Yale, he received a grant from the Graham Foundation for the Advanced Studies of Fine Arts for an exhibit and lecture on his work. Albers also collaborated with Yale professor and architect King-lui Wu in creating decorative designs for some of Wu's projects. Among these were distinctive geometric fireplaces for the Rouse (1954) and DuPont (1959) houses, the façade of Manuscript Society, one of Yale's secret senior groups (1962), and a design for the Mt. Bethel Baptist Church (1973). Also, at this time he worked on his structural constellation pieces. In 1963, he published Interaction of Color which presented his theory that colors were governed by an internal and deceptive logic. The very rare first edition has a limited printing of only 2,000 copies and contained 150 silk screen plates. This work has been republished since and is now even available as an iPad App. Also during this time, he created the abstract album covers of band leader Enoch Light's Command LP records. His album cover for Terry Snyder and the All Stars 1959 album, Persuasive Percussion, shows a tightly packed grid or lattice of small black disks from which a few wander up and out as if stray molecules of some light gas. He was elected a Fellow of the American Academy of Arts and Sciences in 1973. Albers continued to paint and write, staying in New Haven with his wife, textile artist, Anni Albers, until his death in 1976. In 1959, a gold-leaf mural by Albers, Two Structural Constellations was engraved in the lobby of the Corning Glass Building in Manhattan. For the entrance of the Time & Life Building lobby, he created Two Portals (1961), a 42-feet by 14-feet mural of alternating glass bands in white and brown that recede into two bronze centers to create an illusion of depth. In the 1960s Walter Gropius, who was designing the Pan Am Building with Emery Roth & Sons and Pietro Belluschi, commissioned Albers to make a mural. The artist reworked City, a sandblasted glass construction that he had designed in 1929 at the Bauhaus, and renamed it Manhattan. The giant abstract mural of black, white, and red strips arranged in interwoven columns stood 28-feet high and 55-feet wide and was installed in the lobby of the building; it was removed during a lobby redesign in c. 2000. Before his death in 1976 Albers left exact specifications of the work so it could easily be replicated. In 1967, his painted mural Growth (1965) as well as Loggia Wall (1965), a brick relief, were installed on the campus of the Rochester Institute of Technology. Other architectural works include Gemini (1972), a stainless steel relief for the Grand Avenue National Bank lobby in Kansas City, Missouri, and Reclining Figure (1972), a mosaic mural for the Celanese Building in Manhattan destroyed in 1980. At the invitation of a former student, the architect Harry Seidler, Albers designed the mural Wrestling (1976) for Seidler's Mutual Life Center in Sydney, Australia. He was known to meticulously list the specific manufacturer's colours and varnishes he used on the back of his works, as if the colours were catalogued components of an optical experiment. His work represents a transition between traditional European art and the new American art. It incorporated European influences from the Constructivists and the Bauhaus movement, and its intensity and smallness of scale were typically European, but his influence fell heavily on American artists of the late 1950s and the 1960s. "Hard-edge" abstract painters drew on his use of patterns and intense colors, while Op artists and conceptual artists further explored his interest in perception. In an article about the artist, published in 1950, Elaine de Kooning concluded that however impersonal his paintings might at first appear, not one of them "could have been painted by any one but Josef Albers himself." Although their relationship was often tense, and sometimes, even combative, Robert Rauschenberg later identified Albers as his most important teacher. In 1936, Albers was given his first solo show in Manhattan at J. B. Neumann's New Art Circle. He participated in documenta I (1955) and documenta IV (1968) in Kassel. A major Albers exhibition, organized by the Museum of Modern Art, traveled in South America, Mexico, and the United States from 1965 to 1967. In 1971 he was the first living artist to be given a solo show at the Metropolitan Museum of Art in Manhattan. In 2010, a show of 80 oil works on paper, many never exhibited before, was mounted by the Pinakothek der Moderne in Munich, later travelling to other venues, including Centre Pompidou in Paris, and The Morgan Library & Museum in Manhattan. In 2014, an exhibition at the Elliott Museum in Stuart, FL called "Albers and Heirs" featured the work of Albers, Neil Welliver, and Jane Davis Doggett. The Josef Albers papers, documents from 1929 to 1970, were donated by the artist to the Smithsonian Institution's Archives of American Art in 1969 and 1970. In 1971 (nearly five years before his death), Albers founded the Josef and Anni Albers Foundation, a nonprofit organization he hoped would further "the revelation and evocation of vision through art." Today, this organization not only serves as the office for the estates of both Josef Albers and his wife Anni Albers, but also supports exhibitions and publications focused on the works of both Albers. The official foundation building is located in Bethany, Connecticut, and "includes a central research and archival storage center to accommodate the Foundation's art collections, library and archives, and offices, as well as residence studios for visiting artists." The executive director of the foundation is Nicholas Fox Weber. Later the foundation was instrumental in having four fakes from Italy, represented as the work of Albers and on sale in auction houses and galleries in France and Germany, seized by the police. In 1997, one year after the auction house, Sotheby's, had bought the Andre Emmerich Gallery, the Josef and Anni Albers Foundation, the main beneficiary of the estates of both artists, did not renew its three-year contract with the gallery. 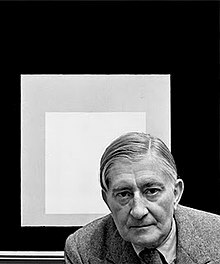 Currently, the foundation is represented by David Zwirner in New York, Waddington Custot Galleries in London, and the Alan Cristea Gallery in London, and now, a large part of his estate is held by the Josef Albers Museum in Bottrop, Germany, where he was born. Joseph Albers' book Interaction of Color is widely influential but, according to Alan Lee, has not received close critical attention. Lee undertakes to refute Albers' general claims about colour experience (that colour deceives continually) and to show that Albers' system of perceptual education is fundamentally misleading (Albers 'places practice before theory'). Four topics in Albers' account of colour are examined critically: additive and subtractive colour mixture, the tonal relations of colours, the Weber-Fechner Law and simultaneous contrast. In each case Albers is shown to have made fundamental errors with serious consequences for his general claims about colour and his pedagogical method. It is suggested that Albers' belief in the importance of colour deception is related to a misconception about aesthetic appreciation (that it depends upon some kind of confusion about visual perception). It is suggested that the scientific colour hypothesis of Edwin H. Land should be considered in lieu of the concepts held by Albers. Finally, there are implications for a reassessment of Albers' artworks that might follow a loss of faith in his colour concepts that seem to have been their foundation. Several paintings in his series "Homage to the Square" have outsold their estimates. Homage to the Square: Joy (1964) sold for $1.5 million, nearly double its estimate, during a 2007 sale at Sotheby's. More recently, "Study for Homage to the Square,R-III E.B." also sold for around twice the estimated $545,000–$700,000, eventually reaching $1.22 million at auction. ^ "Josef Albers, Artist and Teacher, Dies". New York Times. 26 March 1976. p. 33. Retrieved 2008-03-21. ^ a b c d Roderick Conway Morris (October 21, 2011), Making of a Bauhaus Master New York Times. ^ Josef Albers Archived 2013-11-04 at the Wayback Machine Crystal Bridges Museum of American Art, Bentonville. ^ Holland Cotter (July 26, 2012), Harmony, Harder Than It Looks – ‘Josef Albers in America: Painting on Paper,’ at the Morgan New York Times. ^ Pepe Carmel (June 25, 1995), A Modern Master of Bottles, Scraps and Squares New York Times. ^ Robert Ayers (March 29, 2006). "Susan Weil". ARTINFO. Archived from the original on March 8, 2008. Retrieved 2008-04-22. ^ Rob Roy Kelly (June 23, 1989). "Origins: Yale years". Retrieved 2010-02-09. ^ "Josef Albers, Eva Hesse, and the Imperative of Teaching | Tate". www.tate.org.uk. Retrieved 11 August 2017. ^ a b "Josef Albers and Heirs exhibit on view at The Elliott Museum in Florida". Retrieved April 7, 2014. ^ a b "Elliott Museum presents 'Albers & Heirs: Josef Albers, Neil Welliver, and Jane Davis Doggett'". Martin County Times. Martincountytimes.com. 2013-11-09. Retrieved 2014-05-14. ^ Masheck, Joseph (December 2009 – January 2010). "ALBERS' RECORD JACKETS: Doing an Artful Job". The Brooklyn Rail. ^ "Book of Members, 1780–2010: Chapter A" (PDF). American Academy of Arts and Sciences. Retrieved 6 April 2011. ^ David W. Dunlap (June 17, 2002), Press 'L' for Landmark; Time & Life Lobby, a 50's Gem, Awaits Recognition New York Times. ^ Carol Vogel (July 9, 2001), A Familiar Mural Finds Itself Without a Wall New York Times. ^ Josef Albers: February 28 — March 27, 2007 Waddington Custot Galleries, London. ^ a b c d Piper, David. The Illustrated History of Art, ISBN 0-7537-0179-0, p469. ^ Piper, David. The Illustrated History of Art, ISBN 0-7537-0179-0, p470. ^ Christopher Knight (May 14, 2008), Robert Rauschenberg, 1925 – 2008: He led the way to Pop Art Los Angeles Times. ^ a b Josef Albers Archived 2012-02-12 at the Wayback Machine Solomon R. Guggenheim Museum, New York. ^ "randomhouse.com". randomhouse.com. Retrieved 2014-05-02. ^ Carol Vogel (October 3, 1997), Sotheby's Loses Albers Estate New York Times. ^ Josef Albers Archived 2012-06-23 at the Wayback Machine Fondation Beyeler, Riehen. ^ Lee, Alan. "A Critical Account of Some of Josef Albers' Concepts of Color." Leonardo (1981): 99–105. ^ Jameson, Dorothea. "Some Misunderstandings about Color Perception, Color Mixture and Color Measurement". Leonardo, vol. 16, no. 1, 1983, pp. 41–42. JSTOR, www.jstor.org/stable/1575043. ^ J.S. Marcus (December 18, 2010), Re-Examining a Famed Teacher Wall Street Journal. Bucher, François (1977). Josef Albers: Despite Straight Lines: An Analysis of His Graphic Constructions. Cambridge, Massachusetts: MIT Press. Harris, Mary Emma (1987). The Arts at Black Mountain College. Cambridge, Massachusetts: The MIT Press. Weber, Nicholas Fox; Licht, Fred (1988). Josef Albers: A Retrospective (exh. cat.). New York: Guggenheim Museum Publications. ISBN 978-0-8109-1876-4. Weber, Nicholas Fox; Licht, Fred; Danilowitz, Brenda (1994). Josef Albers: Glass, Color, and Light (exh. cat., Peggy Guggenheim Collection, Venice). New York: Guggenheim Museum Publications. ISBN 978-0-8109-6864-6. Wurmfeld, Sanford; Rector, Neil K.; Ratliff, Floyd (August 1, 1996). Color Function Painting: The Art of Josef Albers, Julian Stanczak and Richard Anuszkiewicz. Contemporary Collections. ISBN 978-0-9720956-0-0. Josef Albers collection at the Israel Museum. Retrieved September 2016. "Josef Albers Papers, 1933–1961", The Frick Collection/Frick Art Reference Library Archives.